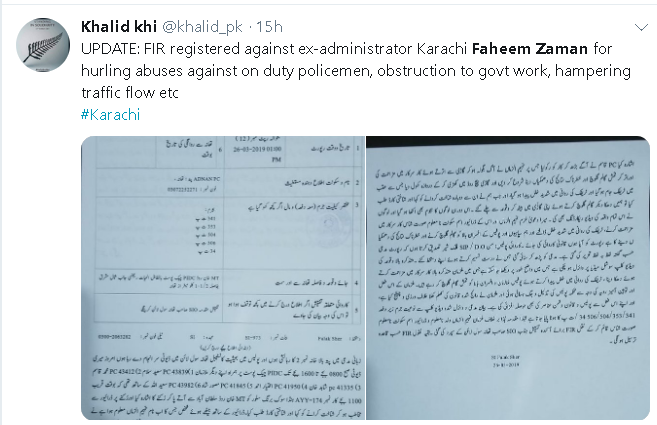 FIR Registered Against Ex-Admin Karachi Who Gave ‘Gandi Gaalian’ To Policemen And This Is Tabdeeli! When people see the powerful exercising their might and leave the weak behind; it doesn’t surprise anyone, because that’s how the system has been ever since. But what shocks everyone is how after all the technological advancement and urbanization, if people still use their VIP card, it’s unfair! It was unfair before and still is. Every time a political leader visits a city and causes any sort of trouble to the common citizen, it does nothing but creates hindrances into the normal course of life. 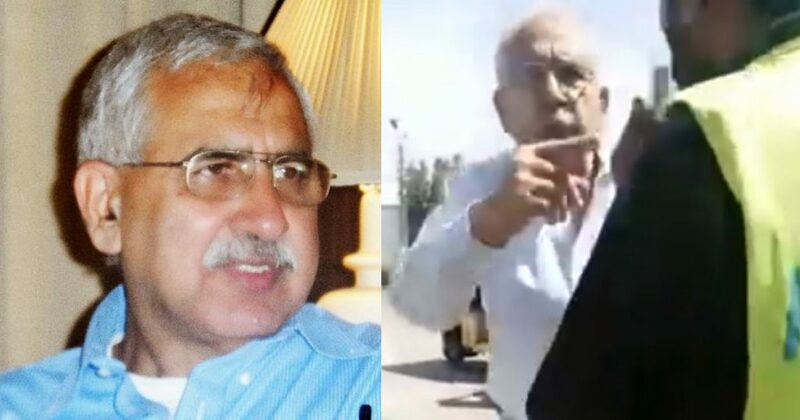 So, what Faheem Zaman the former administrator did on the street is completely wrong! The so very self-righteous(not) was asked by the police to show his identity and boy oh boy he got VERY ANGRY! This video is going viral for all the right reasons! Faheem uncle just doesn’t want to show his CNIC but why he’s being so disrespectful? The policeman did the best thing to record his video and post it on social media. While half the Pakistan is shocked to see this stupid behavior of Faheem, someone registered an FIR against him! The FIR has been registered against him under section 3! Now, this is the right way to address! The police asked him to show his CNIC because no one can enter the red zone without proving their identity! Well, should we be amazed?! Not just fine but he should be held accountable for that! Have we not seen enough of such incidents?! Have we not learned enough lesson from these so-called “VIP”, it’s high time that people like Faheem should have a taste of their own medicine. Also, it is quite clear that the video going viral is not edited at all, and he should accept his mistake and apologize to the said authority! Let see what happens next, if he’s getting his due saza for this or not! What do you think of this? Let us know in the comments below!